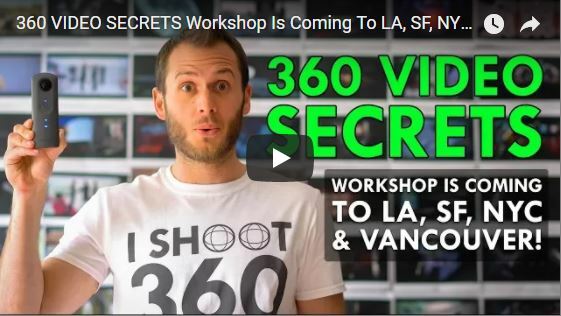 Learn secrets to creating awesome 360 videos from Ben Claremont (Life in 360), one of the most popular and recognized videographers in the 360 industry who is also an author and social media expert. Ben is going to present a half-day workshop in Los Angeles, San Francisco, New York, and Vancouver. Did I mention the workshops will be free? October 8: You can RSVP for the Los Angeles workshop here. October 15: You can RSVP for the San Francisco workshop here. Venue and RSVP for NYC and Vancouver TBD. Pls. check back here or follow Life in 360 on Facebook. Definitely going to the one in San Francisco! Nice. Any chances to record it for people in Europe and rest of the world?